This is a sponsored post written by me on behalf of Groupon Coupons, however all opinions and thoughts are mine alone. Summer is just around the corner, and if you're like me, you're probably looking for inexpensive ways to keep your family busy and fed. That's where Groupon Coupons come in. Odds are by now you're no stranger to Groupon, and if you are, you need to remedy that immediately. But for now, let me give you the skinny. Groupon is a global e-commerce marketplace that connects millions of users with local merchants by offering steep discounts on local and international activities, travel, services and goods in more than 28 countries. In laymen terms, it's an awesome resource to use if you are on a budget, but still like to live big. I currently have several (and by several, I mean close to 10) active Groupons. I use them for everything. That fabulous hotel I stayed at in Chicago last year? Booked it through Groupon at at 60% off. All those exercise classes I attend? Got 30 for $18. My nails? Booked a manicure for $10. But still, there's always room for improvement. And that's where Groupon Coupons come in. 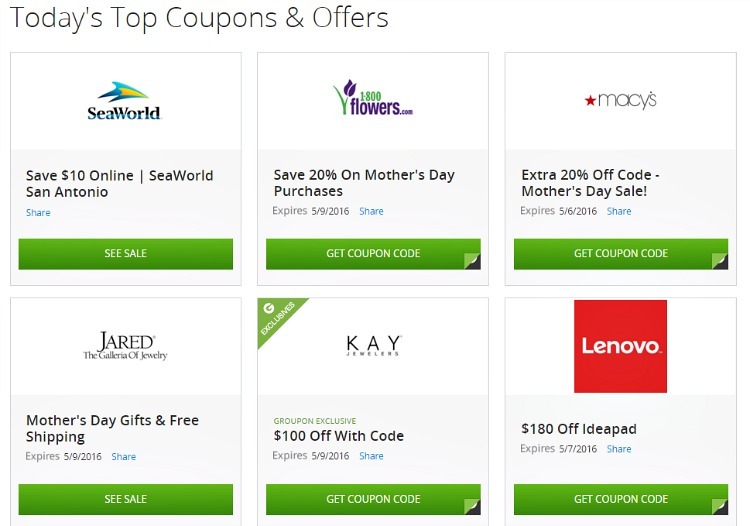 Groupon Coupons take savings to a whole other level by compiling amazing coupons from some of your favorite retailers all in one central hub. You can choose from hundreds of coupons daily, and there are plenty of amazing deals to choose from. To give you an idea, Walmart currently has 53 coupon available today! Sprint has 13 available coupons, including one for $75 in credit and a $30 waved activation fee. You can also currently save $180 on a Levano Ideapad. And that's just the tip of the iceberg. As you can imagine, those savings begin to add up quickly. I've shopped at every single one of these retailers this year alone. It's incredible to think that I missed out on major savings. But that won't happen again.With Groupon Coupons, you can save on more than experiences, you can save on products and groceries from all of your favorite retailers with the click of a single button. That's my kind of savings! What are some of your favorite ways to save during the Summer? 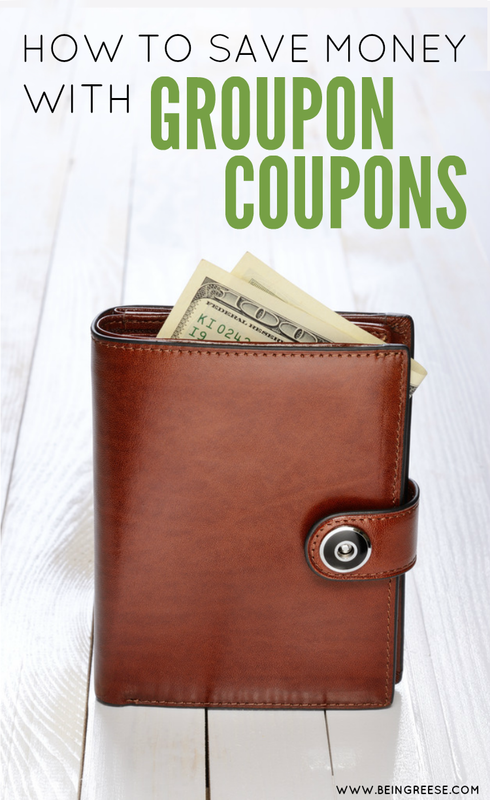 Have you tried Groupon Coupons yet? Feel free to comment below! I always go to Groupon Coupons before making a purchase. Not only do they have high value coupons that save me a ton of money, but they are all right at the touch of my finger tips on my cell phone. Yes! It's my new favorite mobile app. Such awesome savings! I love that Groupon has coupons and recently learned about this. It makes is so simple to save money and being able to do it right from my phone is amazing. I’ve try Groupon Coupons a few months ago and I could personally testify how it saved me a lot of money. While you may not initially appreciate the savings, when these small savings are gathered together, you’ll be truly amazed. Yes. I'm all about the big picture. That savings alone may not be huge, but once you add it all up, it's a bit more noticeable! I love that Groupon is now branching out to offering coupons. I try to save everywhere I can so that we can splurge on doing things -- experiences to make memories. And of course, I try to find a Groupon first!